I used to sit in the front seat of a taxi. When I lived in Sydney, it was a cultural rite of passage … a learned behaviour that revealed an acquired understanding about the Australian culture. As I headed towards the southern hemisphere earlier this week and landed in South Africa, the impulse struck me again to choose the front seat, and I did. "If a man held prisoner for more than 27 years could forgive the men who held him captive – what right do I have to remain angry or seek vengeance against those who may have hurt me?" He was sharing something that anyone who has been inspired by a real leader might feel. 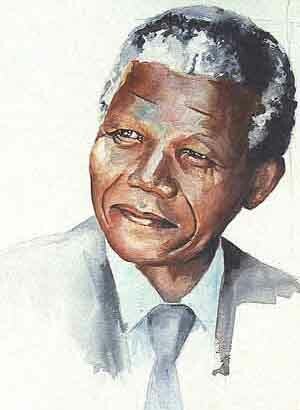 Mandela was the face of a revolution because he offered hope for a world most people wanted to live in. Much longer ago in India, Gandhi offered similar hope and was the emblem of how a peaceful revolution could overthrow a colonial invader. In Tibet, it was the Dalai Lama. The Czech Republic had VÃ¡clav Havel. Much longer ago the Americans had George Washington, and the list could easily go on and on. Throughout human history, it has become an obvious fact that revolutions are fueled by extraordinary leaders. At least, it was obvious until now. In both Egypt and Tunisia, the revolutions in those countries have often been described as "leaderless." It is not just political revolutions happening without leaders either. As large groups of people self organize around ideas and self identify with ideals, revolutions of thought from the profound to the every day are taking place without the guidance of one person. There is no President of Wikipedia. All of which leads to a big question: in an age where leaders are becoming optional, are ideas alone enough to unite us? My driver may have supported a revolution, but it is Mandela who inspires him each day. People inspire people – and in a leaderless revolution what can replace human inspiration? This was the first big thought that struck me as I landed in South Africa. The second was that I should really sit in the front seat of a taxi more often.